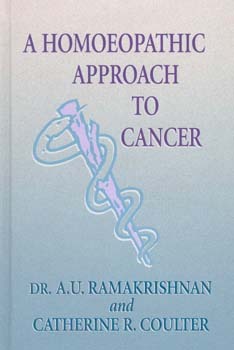 A Homeopathic Approach to Cancer is a clear, concise alternative medicine reference that introduces Dr. Ramakrishnan's method. 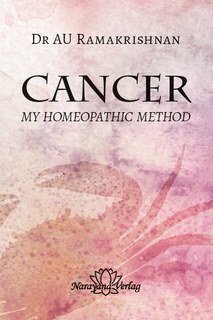 This book details 126 different cases, covering 25 types of cancer, in a comprehensive format and presents documentation that illustrates how homeopathy has been successfully used in the treatment of cancer. The book's procedural analyses and observations on methodology interspersed throughout the text will help guide the practitioner to correct prescribing. The author, who coauthored the book with Catherine Coulter, is the homeopathic doctor of the Indian president and has been practising for over 30 years, has personal experience in the homeopathic treatment of of 5000 cancer patients. His working methods are relatively straightforward but presuppose a sound knowledge of homeopathy. The decisive characteristic is a frequent, usually daily dose of single remedies, which are mostly administered in a pattern of alternating weeks. He usually administers his treatment alongside conventional medical procedures. Yet he has also had numerous cases – for example, of patients with astrocytoma or glioma – who had relapses after two or three ineffectual operations or radiation treatments, and who were then treated solely using his methods (in some cases with over ten years of follow-up).